If you live in one of the 41 states that has a state income tax, you may be interested in finding out how to check on the status of your tax refund. 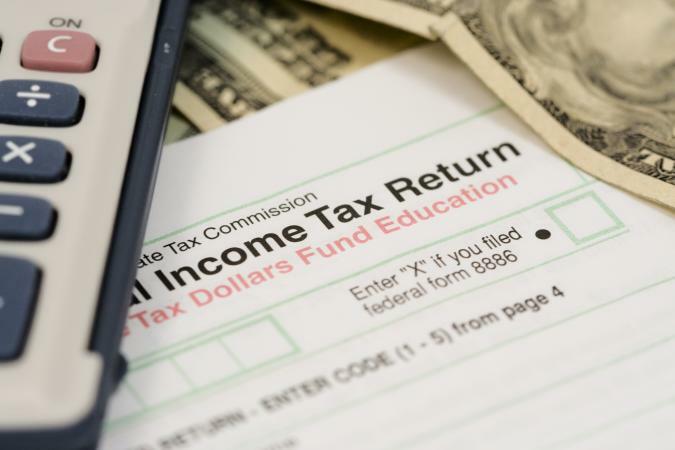 Like the Internal Revenue Service (IRS), many states make it possible for taxpayers to check the status of their most recent tax refund online, though some states rely on a telephone-based system. You can only check the status of your tax refund directly through your state's official tax agency, such as the Comptroller, Department of Revenue, Tax Board, or Department of Tax and Finance. In most instances, you will need to provide your Social Security number and refund amount. You may also be required to specify the type of form you filed. Alabama: Use the 'Where's My Refund?' tool or call 334-242-1170. Arizona: Use the 'Check Refund Status' tool or call 602-255-3381 and select option # 2. Arkansas: Use the 'Where's My Refund' tool or call 501-682-1100. California: Check the status online or call 800-689-4776. Colorado: Access your online account or call 303-238-7378. Connecticut: Use the online tool or call the automated refund line at 860-297-5962. Delaware: Submit an online refund inquiry or call 302-577-8200. Georgia: Use the 'Where's My Refund?' tool or call 877-423-6711 and select option 2. Hawaii: Use the online tool or call 808-587-4242 or 800-222-3229. Idaho: Login to Taxpayer Access Point (TAP) or call 800-972-7660. Illinois: Use the 'Where's My Refund?' tool or call 800 732-8866. Indiana: Use the online tool or call the automated refund line at 317-233-4018. Iowa: Use the 'Where's My Refund?' tool or call the automated refund line at 515-281-4966. Kansas: Use the online tool or call the automated refund line at 800-894-0318. Kentucky: Use the 'Where's My Refund?' tool or call 502-564-1600. Louisiana: Use the 'Where's My Refund?' tool or call 855-307-3893. Maine: Use the online tool or call 207-626-8475. Maryland: Use the online application or call the automated refund line at 800-218-8160. Massachusetts: Submit an inquiry via Mass Tax Connect or call 617-887-6367. Michigan: Use the online tool or call the contact center at 517-636-4486. Minnesota: Use the 'Where's My Refund' system or call 651-296-3781. Mississippi: Login to Mississippi's Taxpayer Access Point (TAP) or call the 24 hour refund line at 601-923-7801. Missouri: Input your information into the return inquiry system or call the automated line at 573-526-8299. Montana: Use the 'Where's My Refund?' tool or call 866-859-2254. Nebraska: Use the online tool or call 402-471-5729. New Jersey: Use the online refund status service or call 609-826-4400. New Mexico: Login to New Mexico's Taxpayer Access Point (TAP) or call 505-827-0700. New York: Use the income tax refund status tool or call the automated refund line at 518-457-5149. North Carolina: Use the 'Where's My Refund?' tool or call the refund inquiry line at 877-252-4052. North Dakota: Use the 'Where's My Refund?' tool or call 701-328-1247. Ohio: Submit the refund inquiry web form or call the automated refund line at 800-282-1784. Oklahoma: Login to Taxpayer Access Point (TAP) or call 405-521-3160. Oregon: Use the 'Where's My Refund?' tool or call 800-356-4222. Pennsylvania: Submit an online inquiry or call 717-787-8201. Rhode Island: Input your information into the online form or call 401-574-8829 and select option 3. South Carolina: Complete the online form or call 844-898-8542 and select option 3. Utah: Use the 'Where's My Refund?' tool or call 800-662-4335. Vermont: Access your myVTax account or call 802-828-2505. Virginia: Use the online tool or call the automated refund line at 804-367-2486. West Virginia: Login to MyTaxes.gov or call 800-982-8297. Wisconsin: Login to Refund 123 or call the automated refund line at 866-947-7363. Quick note: If your state is not included, it is not subject to state income taxation. Confirm that you are on a secured connection when checking the status of your refund online. If you have trouble using system, contact the state tax agency directly. Also, be sure any website you are using belongs to the state tax authority. Never provide personal information about your state tax return to a non-state agency.